As is usual for Trump, the tweets contain a number of inaccuracies and outright falsehoods. Puerto Rican politicians don’t control the island’s budget; that’s up to Congress. Puerto Rico is a part of the United States: The people who live on the island are citizens who pay taxes, even though they don’t have voting representation in Congress. And the people of Puerto Rico did not actually receive $91 billion in federal aid after the hurricane. 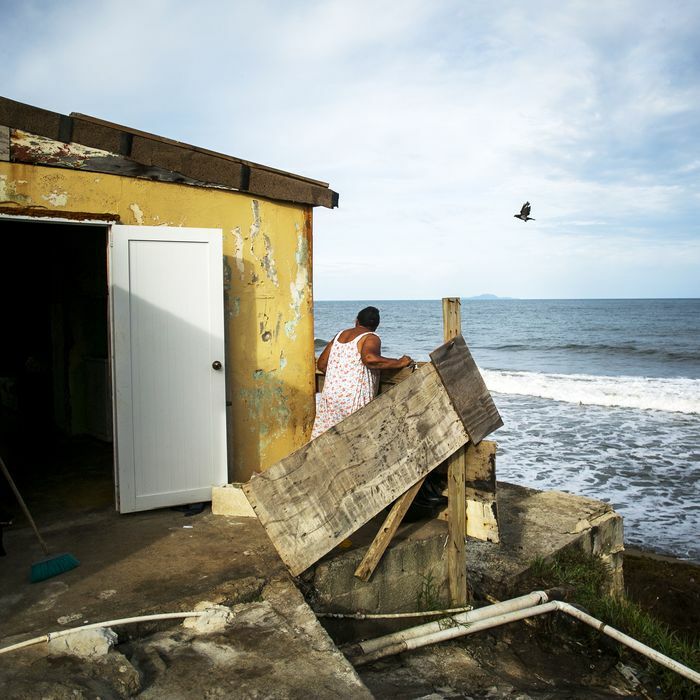 Since Hurricane Maria struck in 2018, the federal government spent $11.2 billion to help rebuild the island. The $91 billion figure estimates the island’s total liabilities, according to a Post fact-check. Trump’s statement is a bald-faced lie. But Trump’s tweets also reveal the real inspiration for his fictions. He singles out Carmen Yulín Cruz, the mayor of San Juan, for specific vitriol. Yulin Cruz, now the co-chair of Bernie Sanders’s presidential campaign and a candidate for governor of Puerto Rico, became one of his more vocal antagonists after Hurricane Maria, though she didn’t restrict herself to criticism of the president. “It’s 2,975 people and they’re still calling it an estimate — 2,975 people that will never see the light of day and many of them died because of what was done by the administration and that was silently approved by most of the political class in Puerto Rico,” she told CNN last August. Trump’s not known for having a thick skin. He has other reasons to disdain Puerto Rico, too. It’s not entirely clear that he even realizes that Puerto Rico is part of the United States. His language, and the language of some administration officials, creates distinctions where none truly exist. Puerto Rico is a “place,” out of sight and — preferably — out of mind. Any aid the U.S. government delivers is a sign of generosity on its part, not something it owes to the people of Puerto Rico, who are disproportionately more likely than Stateside citizens to live in poverty. Trump’s long-standing antipathy for people of color is germane to his rhetoric on Puerto Rico. When he speaks, you don’t have to strain to hear the undertones for what they are. Stereotypes that depict poor people of color as moochers, takers, and welfare queens have been around a long time, and they’ve informed immigration and welfare reform stances in both major parties at various points in their histories. But the Republican Party embraces these lies with pronounced enthusiasm, and holds them up as the evidence upon which the party’s policies are based. The argument that immigrants are violent job thieves stems from this source and so, too, do Trump’s falsehoods about Puerto Rico. The scandal should highlight the disadvantages of Puerto Rico’s peculiar legal status: The relationship between imperial power and colony sustains itself on an imbalance of power. Puerto Rico deserves a real chance to determine its own fate, either by voting to become a state or by becoming an independent nation, as some factions of the Puerto Rican left demand. The status quo shouldn’t survive the presidency of Donald Trump.